← Kids Program Open House Update! Can a business have a personality? You bet it can. Think for a moment about one of the biggest business personalities Toronto has ever seen. 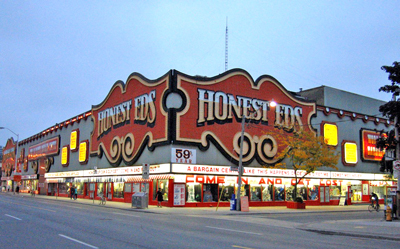 You guessed it – Honest Ed’s! 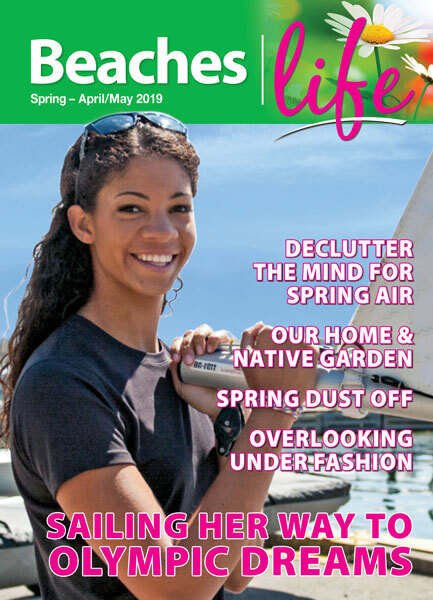 For the past 68 years, there was no place quite like Honest Ed’s, a store that garishly and boldly made a statement every day as a retail wonderland for its customers. Everything about the store was big, bold and brazen: hand-painted signs throughout the store had messages such as “Don’t just stand there, buy something! Or Our Building is a dump! Our Service is rotten!” And then there was the flashing store marquee on Bloor and Bathurst Streets that used over 23,0000 light bulbs! Generosity and big gestures was another part of the store’s personality, established by the various marketing stunts thought up by the founder and owner all those years, the late Ed Mirvish. There was the annual turkey giveaway before Christmas each year. Mirvish also threw birthday parties for himself from 1988 until his death, continued since then as anniversary parties for the store. At street parties, there were free cakes, meals, hot dogs, candy, giveaways, and always lots of balloons. And just when you thought you’d seen it all, the next event would feature 40 clowns playing balloons, or a marathon sale and dance that lasted 72 consecutive hours! We all can’t have business personalities as big as Ed’s. But what could create your business personality? What do you want your customers to feel when they step inside your business? Or think of your business? What do you want them to tell your friends? If your business was a person, what would it look like? What would it wear? If it was a colour, would it be a subtle tone or a neon colour? Then think like Ed, uncover your personality and let it shine!